Veterinary work can be very stressful and suicide rates among vets is nearly four times the national average and double that of doctors and dentists. CVS Vets are the largest corporate veterinary surgeons in the UK with over 200 practices across the country and have identified mindfulness training as valuable intervention to deal with stress in their organisation. “Near the end of the mindfulness course I went on at work, a client came in to the practice to make a complaint which can be a difficult situation to deal with for anyone. I find these situations often confrontational as emotions are running high. These meetings can be very stressful and normally, after a meeting like this I would play the situation over and over in my head, wondering if I should have handled anything differently. This time though, I felt confident in myself and in control of the situation right from the start and afterwards I didn’t worry whether I’d said the right thing and I could get on with what I had to do without any stress or distraction. “Since doing the mindfulness course, my time management skills have improved and I find I can concentrate more on what I’m doing and I’m not so distracted at work. It’s more a case of; If I’m doing a job and someone came to the office door and asked me to do something I’ll say something like, “I’ll come and see in you five minutes,” rather than jumping up and helping them straight away unless the situation really needs me. I don’t feel guilty about saying, “I can’t help you right now”. Gaynor Rigby Practice Manager at Rosslyn Vet Centre. Mark Leonard provided the first corporate training with the Oxford Mindfulness Centre for CVS in 2011 the South West of England. This was followed up by TME delivered 6-week training package to two groups in the North East early in 2013. 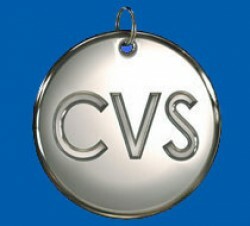 More details on TME mindfulness training with CVS will be posted in due course. A study of TME training for CVS was carried out by Lisa Maule for her Masters thesis in Occupational Psychology, at Birkbeck College, London. The results of this study are embargoed pending submission for publication in academic journals. We believe that these results will be of great interest when they are published.